Mold Inspection-Mold Men, Pittsburgh's Premier Mold Cleaning CO. Determining your property’s health is key to your family’s health. Mold Men of Pittsburgh has professional project estimators who are certified to provide mold inspections and mold testing. We believe that pre-diagnostic testing of mold is very important, it ensures a more accurate mold assessment, but the initial visual mold inspection is always the first step. We want to provide you with the right services and get you the right price. Estimating the job properly is very important to us because we know that providing you with the right information and pricing is important to you! When having a mold inspection done, there is a big difference between a mold inspection and a mold test. 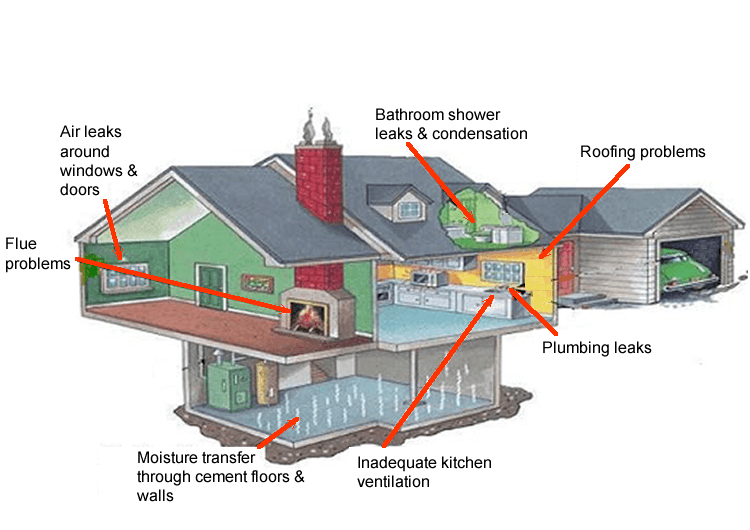 A mold inspection without a mold test is based on what our certified mold assessors can physically see. It is purely a visual inspection which is always a great start to determining your situation, but s certified mold assessor will be able to give you a better, more reliable mold inspection with a certified laboratory test. A mold test will more accurately verify if a mold infestation problem exists. As certified specialists, we normally recommend mold testing but it’s not required in every situation. A post analysis mold test, once remediation is complete is always recommended. A visual inspection for services. A moisture level analysis with digital hygrometer reading. Recommendations for controlling moisture levels. Lab certified scientific analysis which identifies species and concentration of mold. Written laboratory report with full scientific analysis. Visual inspection and assessment for mold remediation services if needed. The most common type of mold test is the air cassette tape. There’s also a stick or tape test, a sterile swab test and a bulk or material sample test. A mold test is often a wise investment which takes the guesswork out of a mold inspection and will give you verifiable information as to whether you need mold remediation work or not. The cost of a mold test varies depending on the type and number of tests taken. Each situation is different, but we provide testing quotes for our customers. The minimum charge for a testing service is $250.00. That is for a 2-sample test. Each additional test is $75.00.